Tinyurl.com had on its own 11 characters, bit.ly 6 characters( only half!!!) and now j.mp â€“only 4 characters wasted. 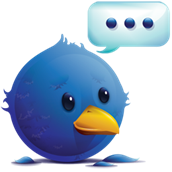 Twitter allows only 140 characters - Need to save two characters in a tweet? You either have to use the SMS language - rework your wording by changing â€œpeopleâ€ to â€œpplâ€ or â€œforâ€ to â€œ4â€ for example, or, if you want to include a link, you can use a shorter URL.The natural evolution of shortening websites followed the shrinking idea: Starting with tinyurl.com who had on its own 11 characters, going to bit.ly 6 characters( only half!!!) and finishing with the newest addition, making URLs look like they were getting just a little too long, when Bit.ly introduced j.mp â€“only 4 characters wasted.